The World Economic Forum in Davos is submerged by a tsunami of denials, and even non-denial denials, stating there won’t be a follow-up to the Crash of 2008. Yet there will be. And the stage is already set for it. In Abu Dhabi everything was broken into compartments, so no one could figure it out, except brokers and traders who would know each supervisor of a compartment of investments. And for the House of Saud, predictably, denial is an iron rule. This massive securities dump has been occasionally corporate media, but the figures are grossly underestimated. The full information simply won’t filter because the Masters of the Universe have vetoed it. So it’s already happening. And a crucial subplot may be, in the short to medium term, no less than the collapse of the eurozone. So a case could be made of a panicked House of Saud being instrumentalized to crash a great deal of the global economy. Cui bono? Moscow and Tehran are very much on it. The logic behind crashing markets, creating a recession and a depression – from the point of view of the Masters of the Universe above the lame duck President of the United States — is to engineer a major slow down, cripple buying patterns, decrease oil and natural gas consumption, and point Russia on a road to ruin. Besides, the ultra low oil price also translates into a sort of ersatz sanction on Iran. Still, Iranian oil about to reach the market will be around an extra 500,000 barrels a day by mid-year, plus a surplus stored in tankers in the Persian Gulf. This oil can and will be absorbed, as demand is rising (in the US, for instance, by 1.9 million barrels a day in 2015) while supply is falling. 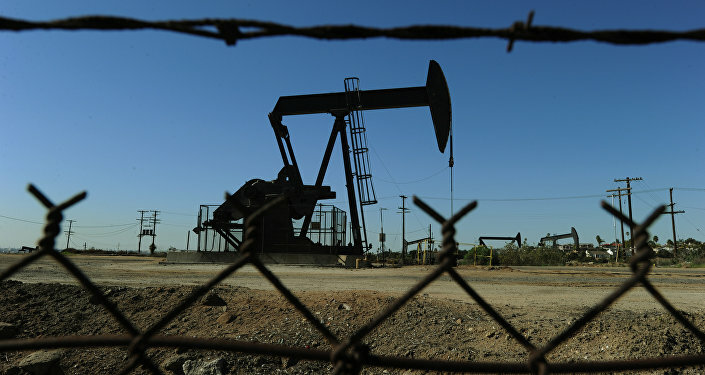 Surging demand and falling production will reverse the oil crash by July. Moreover, China’s oil imports recently surged 9.3% at 7.85 million barrels a day, discrediting the hegemonic narrative of a collapse of China's economy – or of China being responsible for the current market blues. So, as I outlined here, oil should turn around soon. Goldman Sachs concurs. That gives the Masters of the Universe a short window of opportunity enabling the Saudis to dump massive amounts of securities in the markets. The House of Saud may need the money badly, considering their budget on red alert. But dumping their securities is also clearly self-destructive. They simply cannot sell $8 trillion. The House of Saud is actually destroying the balance of their wealth. As much as Western hagiography tries to paint Riyadh as a responsible player, the fact is scores of Saudi princes are horrified at the destruction of the wealth of the kingdom through this slow motion harakiri. Would there be a Plan B? Yes. Warrior prince Mohammed bin Sultan – who’s actually running the show in Riyadh – should be on the first flight to Moscow to engineer a common strategy. Yet that won’t happen. And as far as China – Saudi Arabia’s top oil importer — is concerned, Xi Jinping has just been to Riyadh; Aramco and Sinopec signed a strategic partnership; but the strategic partnership that really matters, considering the future of One Belt, One Road, is actually Beijing-Tehran. The massive Saudi dumping of securities ties in with the Saudi oil price war. In the current, extremely volatile situation oil is down, stocks are down and oil stocks are down. Still the House of Saud has not understood that the Masters of the Universe are getting them to destroy themselves many times over, including flooding the oil market with their shut-in capacity. And all that to fatally wound Russia, Iran and… Saudi Arabia itself. 1) King Salman, 80, abdicates in favor of his son, notorious arrogant/ignorant troublemaker Warrior Prince Mohammed bin Salman, 30, currently deputy crown prince and defense minister and the second in the line of succession but de facto running the show in Riyadh. This could happen anytime soon. As an extra bonus, current Oil Minister Ali al-Naimi, not a royal, would be replaced by Abdulaziz bin Salman, another son of the king. Whatever scenario prevails, the British MI6 is intimately aware of the whole pantomime. And the German BND might be. Everyone remembers the BND memo at the end of 2015 that depicted Deputy Crown Prince Mohammed bin Salman as a “political gambler” who is destabilizing the Arab world through proxy wars in Yemen and Syria. Saudi sources — for obvious reasons insisting on anonymity — stress that as much as 80% of the House of Saud favors a coup. Yet the question is whether a House reshuffle would change their slow motion hara-kiri. The categorical imperative remains; the Masters of the Universe are ready to bring the whole world down in a major recession basically to strangle Russia. The House of Saud is just a pawn in this vicious game.